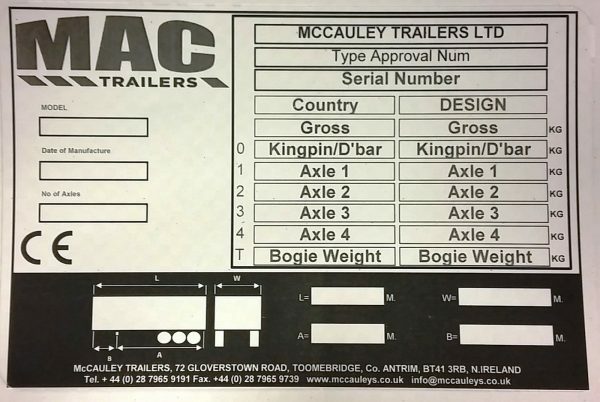 McCauley Trailers operate a Total Quality Management System where its quality engineers check each product before delivery. Each trailer goes through a road simulation where Lights are checked, hydraulics check and the braking is simulated via computer software. All quality checks are carried out to our ISO 9001 standard. 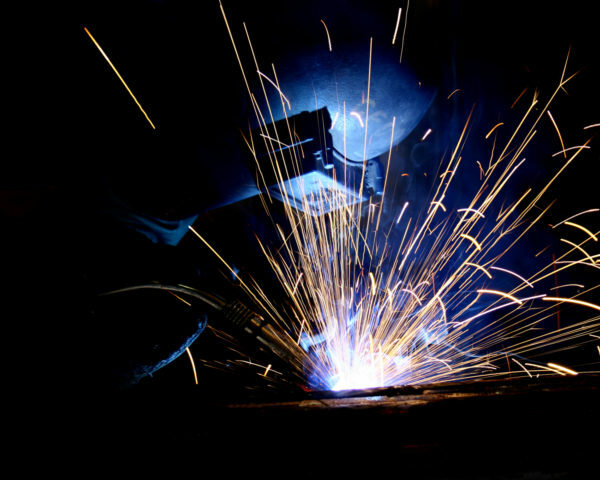 All trailers are checked against the companies Conformation of production information to ensure that every trailer is build to the same quality as the first trailer and free from defect. As trailers are then matched with the conformity of production information, CE marking information and user manuals. The chassis plate is generated in house and matches any VOSA or Type Approval information that needs to accompany the trailer. 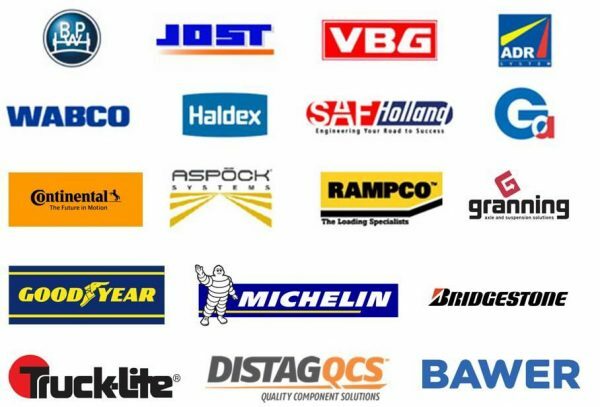 Trailer Component Suppliers - Featherwing, JENSCO, Spraydown, Italtruck, 3M Reflective Tape, Bewer Toolboxes, Service Metals, John Adams, Kinnegrip, LAXO, Bevola, Air Spings, Distag, Commercial Body Fittings. All components come with warranty terms, testing information and where applicable - E certification. Once the trailers have passed the pre delivery inspection, dispatch is notified and will contact the customer to arrange delivery. 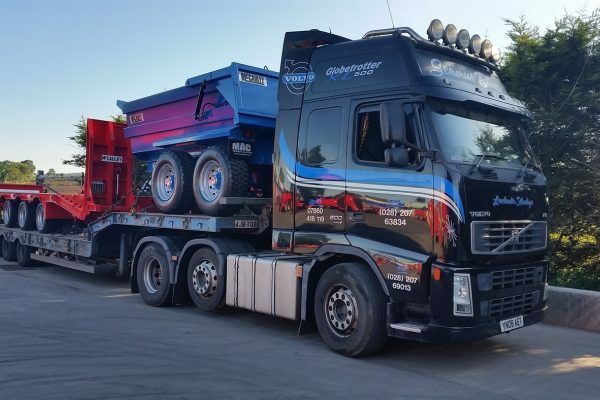 McCauley Trailers use carefully selected haulage companies to carryout deliveries with drivers training in operating trailers and machinery to make off loading as stress free as possible. McCauley Trailers sell all over the world and can offer a service to organised transportation to any port in the UK and book shipping through its dedicated shipping partners to ports throughout the world. McCauley trailers also offer a value for money Door to Door service through Europe so you know once the trailers are loaded in our factory they will not be off loaded until they reach your premises.